Love this look. 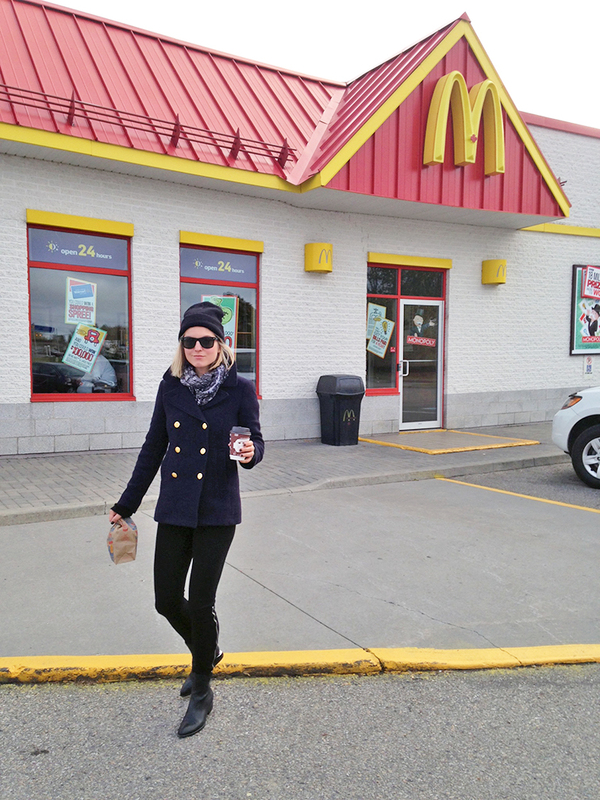 That coat is so pretty.. and now I want some McD's! Lovely coat Hélène! You look cool! I adore that you've done a mcdonald's photoshoot, atta girl! You look perfect for a road trip...so cool and relaxed. And I must admit that I'm in love with your backdrop. 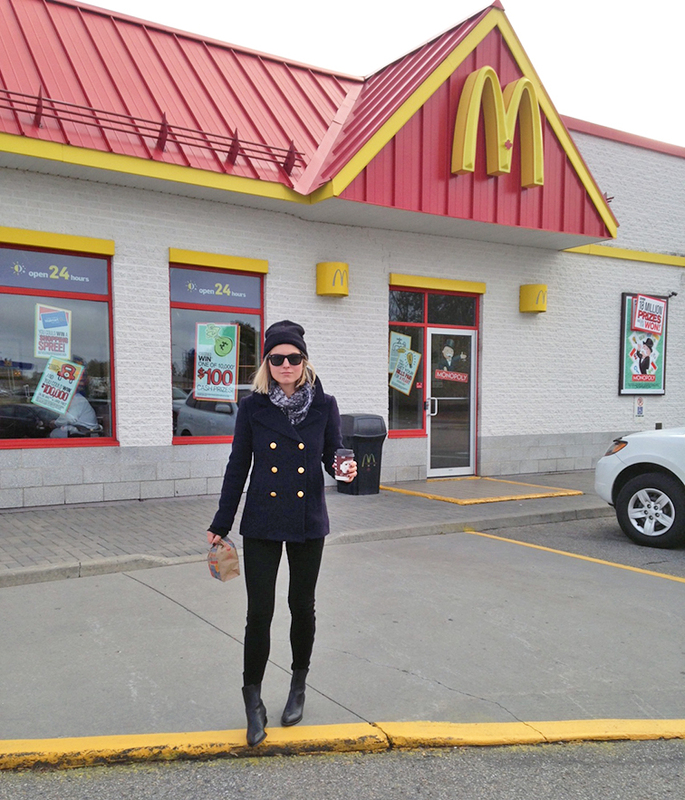 Do all the McDonald's in the States look like this? They have so much more flair than the European ones...haha..
You look gorgeous, love the natural vibe of these pics ! And your blazer is perfect ! hmm! This was really a great dash of inspiration! Wow! Amazing style and inspiration.